Many fires start in attics. Attics are hard to reach and are high risk for the fire fighters to fall thru the ceiling. 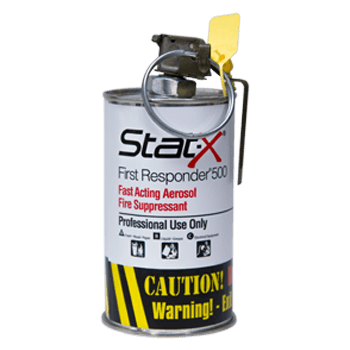 The portable Stat-X First Responder is a great tool for this application as one or more units can be deployed and tossed into the base of the fire before it engulfs the attic.